I recently moved back in with my lovely mother- only temporarily I should add- so Joe and I can start saving for our own little house to call home and I've got to say it's been a little trying at times to say the least. I absolutely adore my mum and having our own little gang is awesome but it's such a challenge to go from having your own space, your own lifestyle and your own rules to effectively reverting back to living like a teen again. That said it's truly opened my eyes to just how lucky I am that no matter where I go or what I do or how old I get, my mum will forever have my back and there will inevitably always be a place to call home! 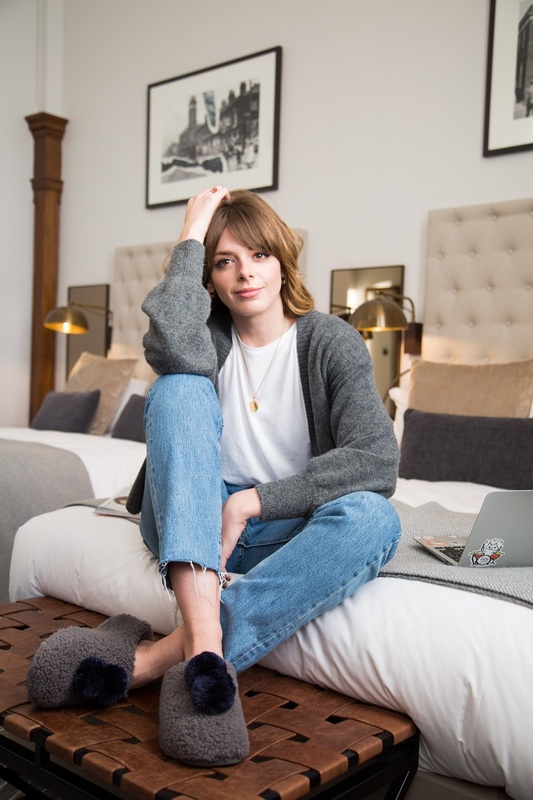 With this in mind I wanted to talk to you about FitFlop's current slipper collaboration with Habitat For Humanity - a global charity who help those less lucky than you and I, as well as raise awareness for those of us who don't have a safe place to call home. 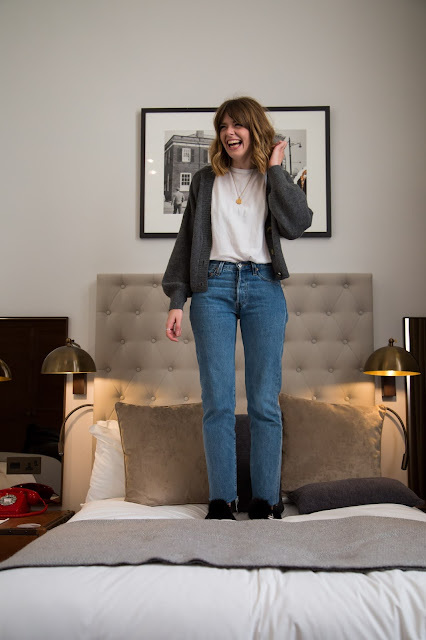 This collaboration couldn't be any closer to my heart with FitFlop, Habitat For Humanity and myself all having the mutual core belief that ALL women are superwomen... Amen to that hey?! As a woman brought up up by a single mother in an incredibly girl heavy family (I'm one of four daughters), I truly believe in the strength of women especially when we stand together and support one another. Having watched my mum do it all on her own; the house, the full time job, being a full-time mother and acting as the full-time father, there is no doubt in my mind that she really is a superwoman and that there are plenty of others out there too! I know my mum would have done everything she could to ensure we had the best life possible and now that I'm older she continues to offer me the same unwavering support and guidance. It's my belief that although we are ALL amazing women in our own right, some of us don't have the voice to let this shine through and that's where Habitat For Humanity step in. So what is Habitat For Humanity? In technical terms it's a global, non-profit housing organisation with over 1,400 communities in over 70 countries (how impressive is that). But all you really need to know is that this is a charity which helps people all over the world build their own housing through their financial support and volunteering. It gives every woman, man and child less fortunate than others the opportunity to have a safe hub, a sanctuary and a home. Not only does Habitat For Humanity offer financial support and physical manpower, it acts as a voice to those who don't have one and fights their corner when no-one else will. It gives all women the chance to realise that they too are superwomen and they have the right to be heard, to have a home and to be safe. And where do FitFlop come into this? 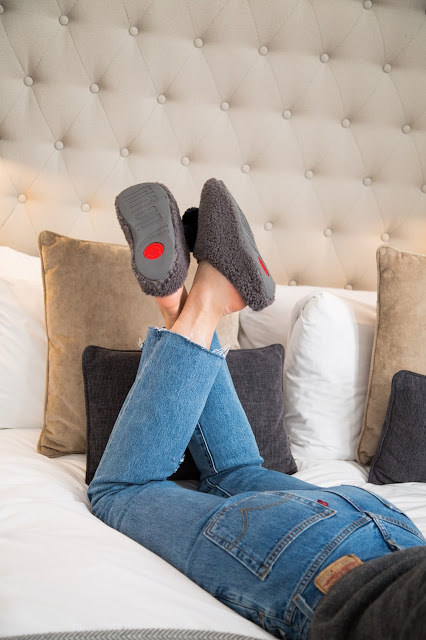 Well the lovely folk at FitFlop have launched two exclusive slipper designs, The Love House and The House slipper as modelled by me in this post. Not only are these the most comfy, cosy and hardwearing slipper you'll ever own (I feel like those of you with a dog will understand what I mean by "hardwearing"- they are chew proof and they can be worn in the garden without getting soggy) but for each pair sold 20% of the money will go straight to Habitat For Humanity! Humungous pat on the back for FitFlop! For me it all comes back to understanding just how important it is to have a strong, consistent support network and realising how invaluable it really is to have a place out there that feels like home. If by writing this post I'm able to boost awareness for this collaboration and in turn help someone else in the world receive this kind of comfort (something which I feel every person on this plant is entitled to) than it's most definitely a cause worth championing in my eyes. After all- home is where the heart is. Shop the FitFlop X Habitat For Humanity Collaboration HERE now.